The j-school where I teach recently implemented a new and very strict academic integrity policy. Bravo, say I. 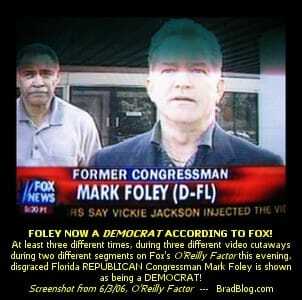 And then what do we see on the Internet today, but that Fox News is misrepresenting page-groper Mark Foley as a Democrat. Guess there’s one place where getting expelled from j-school for fabrication is actually a career-enhancer.